Join Daniel Ostoja as he converses with the Master, and learns about the ocean of love awaiting discovery within each and every one of us. Love comes from outside of this artificial world. Happiness flows from experiencing Divinity and cooperating with it. Devote thirty percent of the time that you spend on your interest in worldly matters, for interest in Divinity, and life will change right away. Here is this huge gold mine worth exploitation. Why should you bother with yet another book about the Divine? Why bother reading at all? What is the benefit? What should we do with what we have read? Is there any use in stuffing our heads with even more information? First of all know that studying books alone is not enough. If you believe they contain spiritual truths, you will profit immensely when you start putting the guidance read into practice. A gram of practice is worth more than a tonne of theory. If you want to turn towards Divinity and experience its miraculous love, if you want to meet Light and become one with it, read and make the learned spiritual truths a practice. Secondly, begin reading with the highest possible humility and trust in Divine Power and Love. Pray and ask to be shown which contents you should study, what to get acquainted with, what to practice. Ask for light and love, so that the Creator may take advantage of the times when you study His words or other spiritual truths to direct you towards Himself. Thanks to this you will lead a more balanced life full of joy and happiness. 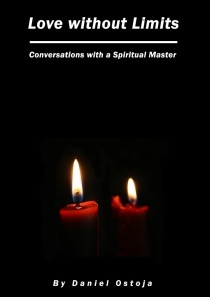 Spiritual books carry within them the power of turning any kind of love towards the Source. Ask for a chance to take the next step towards God. Ask Him to become your Guide. A smile directed towards Divinity is a great motive power of change. You live in a world created by yourselves, your perception, thoughts, opinions and judgments. All this whirls around human bodies as the vortices of mental energies. “I” or individual self is the axis of this “vortex.” Now I will show you a simple method leading to release from the burdens of the body, from the earthly thinking and leading to transformation and union with the inner love. Begin with a simple meditation. Sit comfortably and start to breathe evenly. Keep smiling to the Creator. Once the mind gets somewhat quietened, turn to the loving Divinity asking that it guides you and looks after the whole process of transformation. Then turn with the heart and mind towards tender Divinity. Imagine it to be as close to you as possible and stay in its Divine Energy. Practise like so for ten to twenty minutes. Teach the mind to enter into the state of inaction and silence, into the state of relinquishment of thoughts, not developing them, not entertaining any thoughts coming but turning towards the Divine Love, goodness and kindness. Then transfer this state into what you do every day. When you feel disharmony in contact with anyone or anything, move away from this reaction and turn to God trying to stay with Him with a smile all the time. Be gentle to yourselves, be pleasing to God and treat Him well, as a dear friend does. Moving away from “oneself” in the direction of Divinity is taking the path of spiritual and mental transformation. With each passing day, there will be less and less of “you” and more and more love, compassion and goodness; more and more love that God is. Go through the silence, where there are no roads. Follow me trusting my Love. To get to me you must go through an unknown land. Get out of “yourselves” and slowly move towards me. Allow the mind to quieten and submit yourselves to silence. Master, the following question has come to my mind: I have the impression that You often ask and recommend certain actions, but You do not give commands. Why is that so? You have touched on one of Mysteries of Creation, here. Because of who I am, my commands get fulfilled instantly. So, there is no need for passing them on paper in a book. 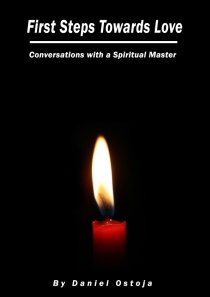 This book is a help for you – a helping hand extended in a way you are able to receive. In this world God asks you for a turn towards Him, towards His love, because this is the way it was earlier conceived and is being executed. In other words, such a Divine Plan we are implementing now and there is no need to abandon it. Obviously other Plans exist and they have different ways of execution and different realities. Our plan is as it is and this is both good and beautiful. Pressure and commands on my part would disrupt its superb and elaborate construction. And in this Scene I am the one who stays in the shade. Come and stay in it along with me. 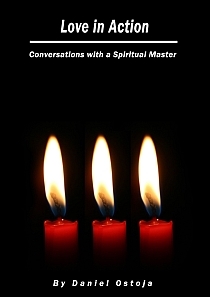 © 2019 Conversations with a Spiritual Master – .